In some cases, to determine the size of the hard disk sufficient to look at its properties in Windows Explorer. But if your goal is to know the capacity of the hard drive, not connected to a computer, use special devices. If you are baffled regarding the size of the hard disk on a desktop or laptop that you use, click on the icon "My computer" on the desktop to open Windows Explorer. This window can be open and different. Hover over the "start" button, click the right mouse button and from the menu select "Open Windows Explorer" (or "Conductor"). In the opened window you will see one or more icons labeled "local disk" (C, D, E, etc. ), as well as icons of the drives. Last you are not interested because they do not have relations to the hard drive. The disc itself can be "broken" into several sections, and in this case you'll need to lay down the dimensions of each of them to know the total hard disk capacity. If the local disk is only one, is still easier – it is sufficient to know its capacity. To do this, right-click the mouse on the icon of the local disk and select properties from the context menu. On the "General" tab under "Capacity" you will see the data on the size of the hard drive. However, remember that the actual amount will always be less than specified by the manufacturer data. For example, if the declared size of 500 GB, the actual capacity of the drive will be only 452 GB. To find the volume of a drive that is connected to the computer, use the box to connect the hard drive via a USB port. Since the drives are different sizes and have different interface connectors, the box to connect the Winchester should be selected based on its parameters. 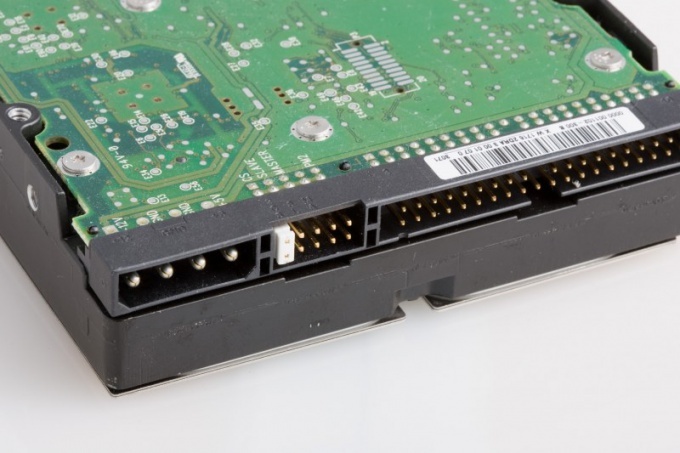 If the drive fits in the standard size and interface to the existing ribbon cable with additional connector, connect the hard drive to it, after opening the system unit, and disabling the power supply. After a successful connection to the computer and see the capacity of the disk by the above method.